You’re probably on top of securing your windows and doors, but you might not give your garage much thought. 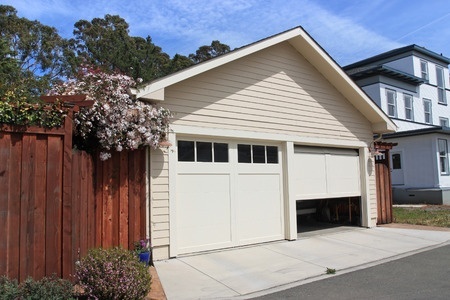 Unfortunately, garages are prime targets for trespassers and thieves. An experienced thief can break into a garage in under six minutes using nothing more than a coat hanger. If you store anything of value in your garage, or if your garage is attached to your home, you need to take steps to secure it against intruders. the door and gaining access. Always keep the garage door opening inside your home. Leaving your garage door opener in your car is convenient, but it makes it easier for thieves to steal. Bring your opener inside with you. If you absolutely must leave the opener in your car, lock it in your glove compartment to keep it out of sight of thieves. You can also take preventative measures by upping you car security by consulting with your local auto locksmith in Denver. Frost the windows. If a burglar can see valuables inside your garage, they’re more likely to break in. Use a frosted spray paint on the windows to increase privacy. Installing shades is another effective option. Get an alarm. A garage door alarm works like a window lock. When armed, it will emit a loud alarm if the door moves. Invest in motion sensing lights. Motion sensing lights and security lights deter thieves. From basic units that switch on when motion is detected to more advanced setups that send text alerts when the motion sensor is tripped, there are options for every home and garage. If you need help securing your Denver garage, contact your Lakewood locksmiths at Colorado Security Products. We’re a full-service security provider offering security systems, security cameras and more. For the help you need, call 303-756-1000.